Lock in a great price for SIR VICTOR HOTEL – rated 9 by recent guests! The staff was excellent - the roof top terrace amazing - the location was great to be able to get to multiple areas of the city. Will definitely stay at Hotel Omm again! Front desk/ Concierge always friendly and helpful. As were the bartenders. Location was good for sightseeing. Nice interior, excellent breakfast, staff was very nice. The Friendly Welcoming & Helpful Staff made my first traveling abroad ALONE a well-supportive experience! Gracias! I love, love Hotel Omm the staff are all efficient, kind and friendly. The rooms are clean and perfect. Location is great. Roca Moo their restaurant is superb. I would go back to Barcelona for Hotel Omm- our stay in this hotel is what made our in Barcelona wonderful and unforgettable. You can't beat great service- wonderful, helpful staff. Breakfast was fantastic! Beds were comfortable... Hotel location excellent. The staff were extremely warm and friendly. It was my first time in Barcelona and they were very helpful in guiding me on how to get to the places I wanted to see and things to do. SIR VICTOR HOTEL This rating is a reflection of how the property compares to the industry standard when it comes to price, facilities and services available. It's based on a self-evaluation by the property. Use this rating to help choose your stay! Sir Victor Hotel in Barcelona offers stylish accommodations on Passeig de Gràcia, 5 minutes’ walk from Gaudí’s La Pedrera. It features a rooftop swimming pool and a terrace offering excellent views of Barcelona. Each of the Sir Victor Hotel rooms has chic, contemporary décor. Rooms overlook Passeig de Gràcia, or the hotel’s interior garden. Each has satellite TV, free Wi-Fi and a large bathroom. The Spa features steam baths, a fitness room and offers a selection of treatments including body and facial treatments, massages, and other treatments from around the world. The Lobby Restaurant & Bar offers an innovative selection of street food and dishes to share. Live music complete the leisure offer at Sir Victor Hotel. 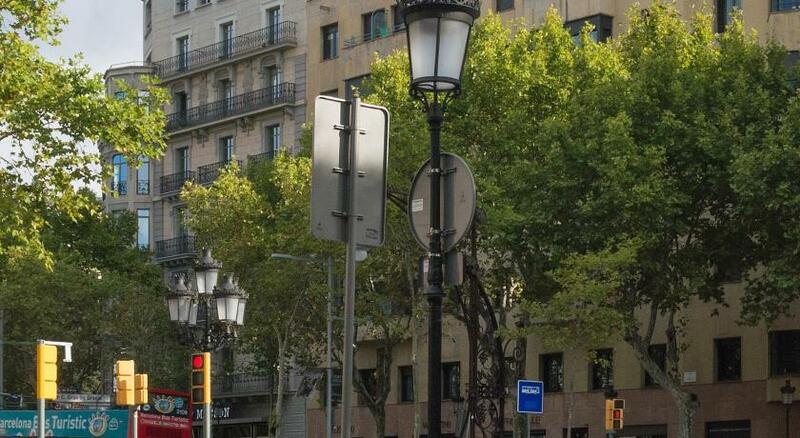 Plaza de Catalunya and Las Ramblas can be reached in 15 minutes, by foot. 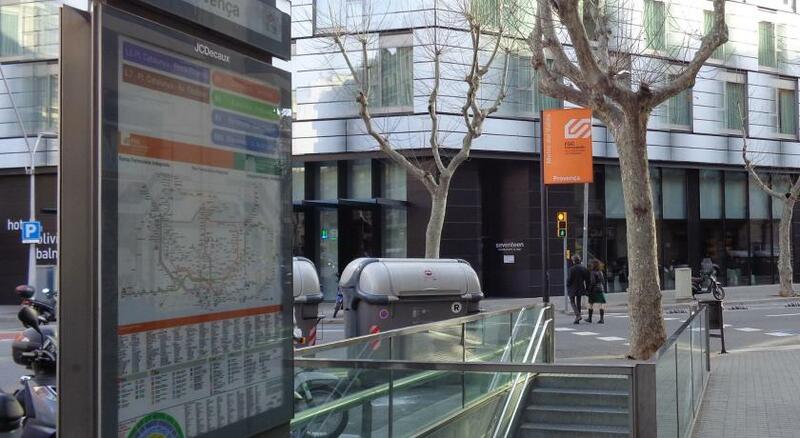 Diagonal Metro Station is just 250 feet from the hotel. When would you like to stay at SIR VICTOR HOTEL? These twin/double rooms features wooden floors. Some rooms include a balcony overlooking either Passeig de Gràcia or the interior garden. Public parking is available on site (reservation is not needed) and costs EUR 39 per day. This family room is comformed of 1 room with views of an interior patio, and a smaller room with no windows. They both include private bathrooms. This quadruple room features air conditioning, electric kettle and soundproofing. House Rules SIR VICTOR HOTEL takes special requests – add in the next step! SIR VICTOR HOTEL accepts these cards and reserves the right to temporarily hold an amount prior to arrival. Please inform SIR VICTOR HOTEL of your expected arrival time in advance. You can use the Special Requests box when booking, or contact the property directly using the contact details in your confirmation. Great new hotel. Amazing family room. Awesome staff. Worth staying here! Bedroom lighting incredibly bad and the metal bed and mirrors made the bedroom quite dangerous at times to navigate around. Staff are very efficient, location is excellent. Staff were excellent. The rooms appeared nice and well equipped. The toilet does not have a solid door (a slide door) which creates some discomfort when you travel as a couple. There was some renovation on the ground floor when we travelled. Very large comfortable room with huge bed, excellent speaker for iPhone, one bathroom and one separate shower, balcony with a view. The hotel has beautiful rooftop terrace. The end result of the renovation after 15 years which is totally out of style and perfection. Our room was fine, but kids room was very smelly and dark with no air circulation. The toilets were very old standard and WC too low. The beds were not comfortable at all and gave me back and neck pain. Steam iron was not available and on request an old one was brought for us which we had to use. The corridor was dull painted with Orange Color (Who paints with this color). The were steps leading to our room which made the luggage guy to suffer to bring and take away our luggage. Ramp would be better with low angle. The friendly staff and how they were helpful to guide us and also the staff at the morning breakfast were very friendly and helpful and recommending new things to us. Our room size was quite big and enough. Staff very pleasant. City view and balcony how we choice. Very good situation and we liked cristal water for free. Excellent location, all staffs are really helpful for our need and can provide the updated information about local transportation and attractions. The whole structure needs a refresh. A manual for the showers would be helpful.